And another one. Why are Shad‘s $10 videos fresher than most? Lol. 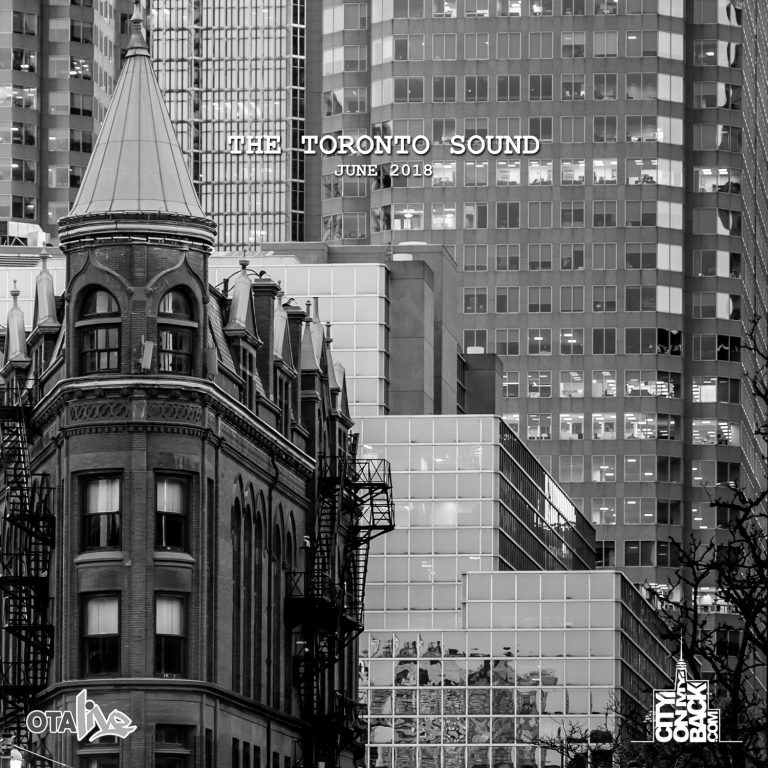 SonReal gets some hometown love in this chop-up with Van City Vogue. Van City Vogue provides a platform for fashion, entertainment, events and talent in Vancouver. 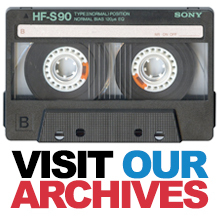 Keep up to date on what’s happening in Vancouver and the Lower Mainland. With information full of up and coming local events, the hottest new fashion trends and where to find them, along with amazing beauty tips. The video was produced for Van City Vogue by Carl Haering and features the talents of Megan Edwards (host), Jeffery Ho (makeup), and Sharon and Kherry (Van City Vogue). 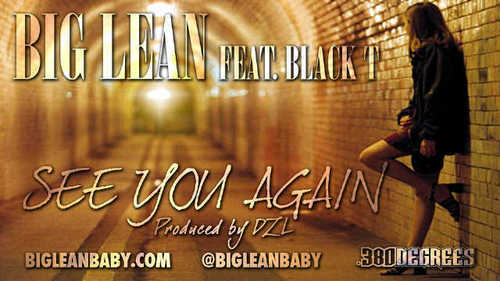 MP3s for Big Lean’s latest singles. 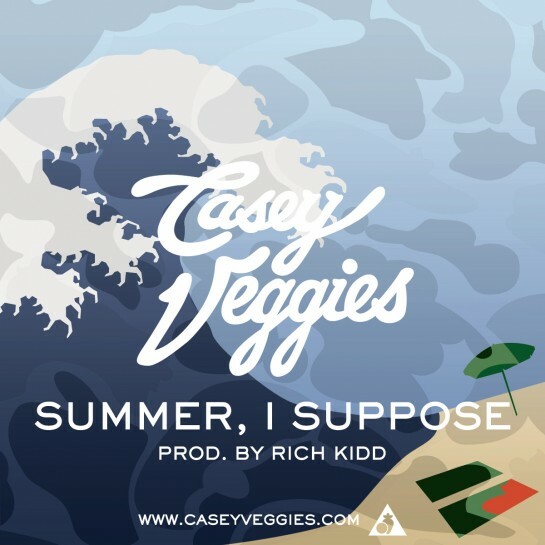 New one from LA’s Casey Veggies over another quality Rich Kidd production. Really nice homage to the Mega from tha dancer kidd Devon Tracy. Recorded At Diamond Factory Studios By Sunny Diamonds. The youngin’ Raheem on his R&B tip. Jelly spits something for SBYV. “King’s” out now and you can catch her rockin’ the 106 & York stage tomorrow alongside JD Era, Rich Kidd, Shi Wisdom, JD Keyz and more. Friendly reminder about the only place to be tomorrow night. Performers include JD Era, Rich Kidd, Shi Wisdom, JD Keyz and more! With the support of festival partners UrbanArts, N.I.S.E. Clothing, High Class, and Manifesto, the organizers have developed a stellar showcase of Toronto’s talent and continues to give artists a platform from which they can build their careers. 106 and York also helps to build the capacity of the community to organize similar events by taking on community members as staff and interns. In addition to performances, community merchandise/info tables allow local organizations and entrepreneurs to get involved by displaying information about their group. Some of the groups represented at our festival are: Urbanology Magazine, Hip Hop Canada.com, and other Toronto vendors will be selling their art and merchandise, so please feel free to bring the family enjoy the entertainment, and support this all ages event. 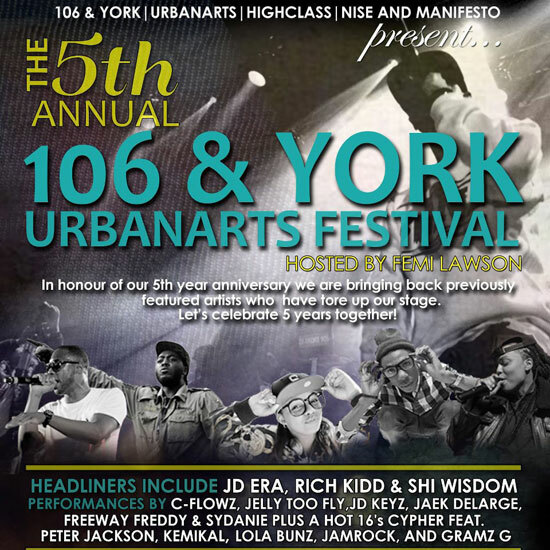 106 and York is a youth-led collaborative that supports youth in the urban arts through various initiatives. Our most prominent initiative is our multi-disciplinary youth urban arts festival that is presented in collaboration with other youth-led organizations such as Highclass and N.I.S.E. Clothing and larger organizations such as UrbanArts and Manifesto. 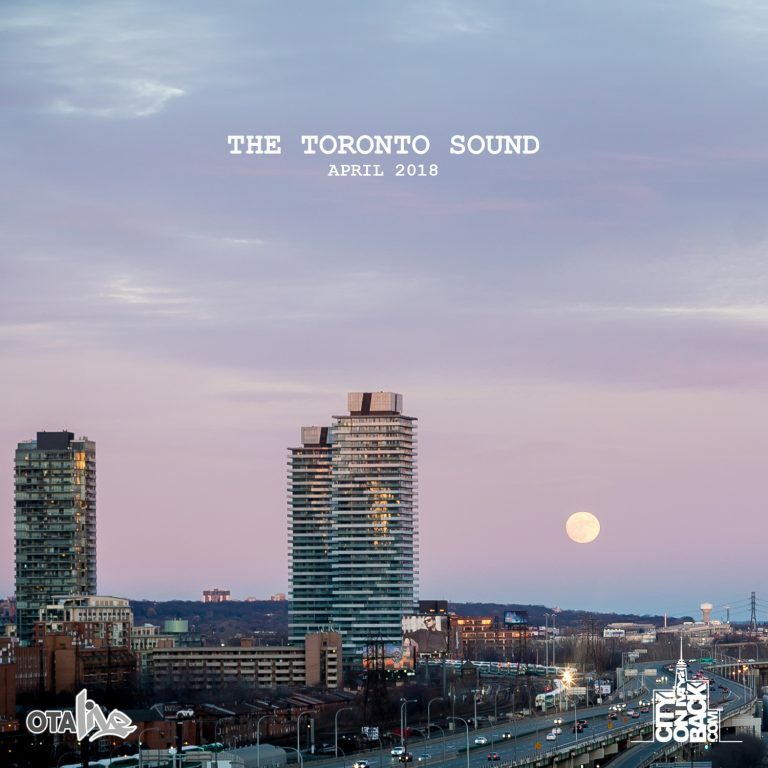 This festival develops and showcases the talent of emerging musicians, recording artists, dancers, theatre groups, visual artists, film makers, photographers and fashion designers of North West Toronto. Using mentorship to train younger and less experienced youth on the positions required to make the festival happen. This is not only a means of community building, but it also creates opportunities for youth to gain experience and employable skills within the arts sector. Additionally, the collective offers artist development workshops that train local emerging artists on art and business skills needed for their professional development. Beyond the festival, 106 and York supports and motivates young people who have been alienated from mainstream institutions to organize and create spaces for artistic expression in meaningful and professional ways. And another one. Over the Kanye chune.